The world wants to see you smile! And at Gentle Dental Care of Spring, your smile matters. 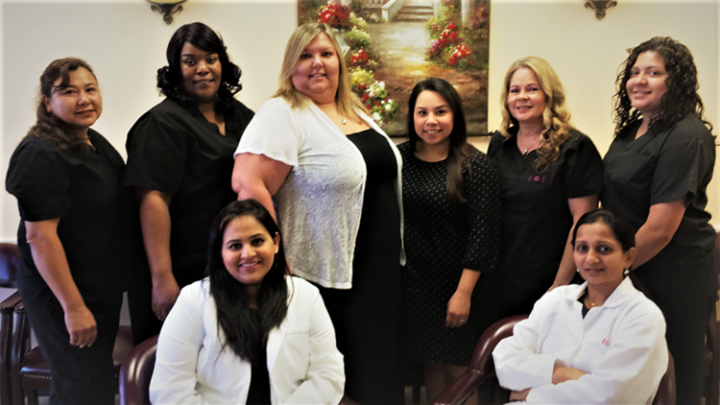 Our team aims to help you have the healthiest smile possible with family, pediatric, and emergency Dentists in Spring and Klein. Thanks to having two locations in the Spring and Klein area, you are never more than just a short drive away from one of our cutting edge dental offices. We totally get it—your smile makes for a huge first impression. Understandably, you are going to want to a smile that looks radiant. Our cosmetic dentistry services help you achieve that goal with a variety of options including ClearCorrect®, the leading alternative to braces, traditional braces, teeth whitening, and more. Gentle Dental Care’s dentists in Spring will conduct a thorough analysis of your teeth, listen to what are you looking for out of your smile and create a treatment plan that works for you. The Gentle Dental Care team understands that sometimes our teeth can get unhealthy. At times, it requires serious intervention to not only save your teeth but to also help remedy other oral diseases. Oral surgery is available at our Spring location for family, emergency, and pediatric dental services in Spring. That’s right, you will not be referred out to a separate practice for your oral surgery needs. Everything that you need to help get your oral health back to tip-top shape is provided right here by our dentists in Spring. Periodontal disease, also known as gum disease, is an oral disorder that occurs when your gums become infected and irritated, leading to erosion of the tissue structures that hold your teeth in place. Initially, it only affects your gums. As it progresses, it begins to deteriorate additional tissues, causing your teeth to become loose. Unfortunately for some patients, this may lead to a necessary extraction of affected teeth. Great oral health starts early, and our family and pediatric dental specialists in Spring will help your child have clean, healthy teeth. In addition to regular dental check-ups, our Spring pediatric dentist can treat many dental problems found in children such as baby bottle tooth decay, cavities, and misaligned teeth. Have an overbite? Issues with teeth that aren’t straight? We offer orthodontic services from our experienced dentists at our Spring location. We can provide consultation and treatment on improving teeth alignment and correcting bites. Occlusion, which is the position of your teeth when your jaw is closed, can have a substantial effect on your oral health. It’s important that any issues that are related to your bite get proper treatment. At Gentle Dental Care, we can help with expert family, pediatric, and emergency dental services in Spring .